Giftr is an online marketplace for gifts and your one-stop solution for gifting needs. The site aims to provide you a seamless gifting experience while browsing through their carefully curated gift selections. 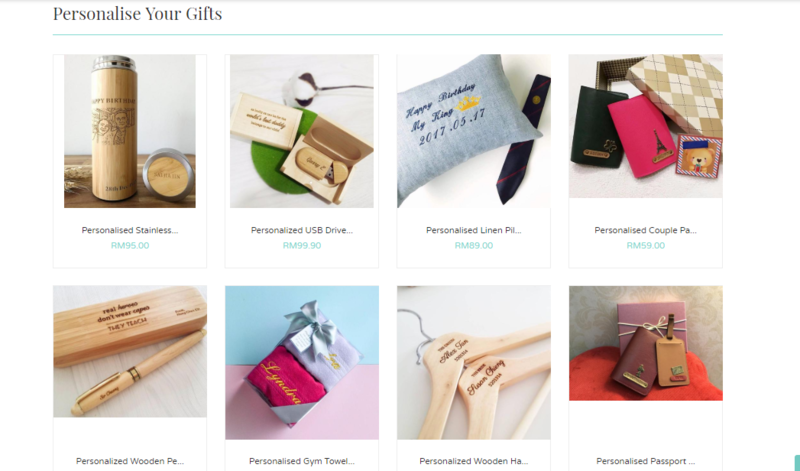 At Giftr, the team understands that gifting is a personal engagement between sender and receiver, and thus they do their best to take care of post-sale services, ensuring a smooth fulfilment of gifting experience. Giftr has the same team behind them as Helpr (www.helpr.my), which acts as on-demand chat based personal concierge service, and aims to get anything you want with no hassle. Till now, Giftr has served thousands of requests for the past year to better understand what users want. Giftr wants to improve your relationship with your loved ones via gifting. The site makes the experience for a sender to decide and make a gift purchase easy and seamless. 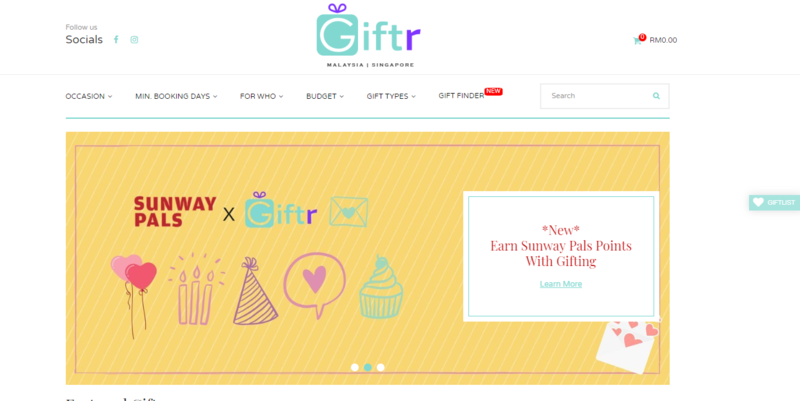 Giftr is the ideal site for anyone who is on the lookout for a creative gift for any occasion. Here we look at the gift ideas and collections available on the site. To shop for the perfect gift on Giftr, simply follow the steps given below. Step 2: Click on the product you like best for important information and product details. If you would like to buy the product, choose your size (if applicable), delivery date, card message and click on ‘Add to Cart.’ You will be able to see a confirmation for the same as a pop-up on your screen. Step 4: Enter your delivery and billing details in the next form. From there, you will be redirected to the payment page. In case you have a Giftr discount code be sure to apply it before you place your order. The default payment methods are online banking (via Billplz) or credit card (via Ipay88). Rest assured that all your payment methods are secured. The site also runs various promotions offering customers personalised gifts at added discounts or with other benefits. They may offer quicker deliveries, product bundles or a lot more. These offers can be found on the website or you can even sign up for their newsletter to know all the latest deals instantly. In addition, you can check out their social media channels for offers and coupons. Be sure to check the validity of your Giftr discount code to redeem it timely. Step 1: Visit the ShopBack website and click on the Giftr store at the bottom of the homepage. You can also use the search box to find the link to the store. Step 3: Look for the latest Giftr discount code in the voucher codes, discount codes, promos and coupons section. Step 4: You will be redirected to the Giftr website to browse and select the items. On-demand delivery: items that are delivered on a specific date selected by customer and is delivered by a runner. Courier service: items that are shipped in parcels (no specific date can be chosen). For eg. Poslaju, Skynet and more. Items that are sent via on-demand delivery/ runner will have a delivery date that you can choose. Items that are sent via courier service will not allow specific delivery date to be chosen. Do refer to the product page for the terms & condition. In case doorstep delivery is not possible due to any reason, the delivery person will need to wait for the receiver at the lobby to avoid further delays. If the item is sent by courier companies, item is usually left with the reception if they are willing to receive on behalf. If not, the item will be sent to a designated post office nearby and receiver will need to collect the item from post office. 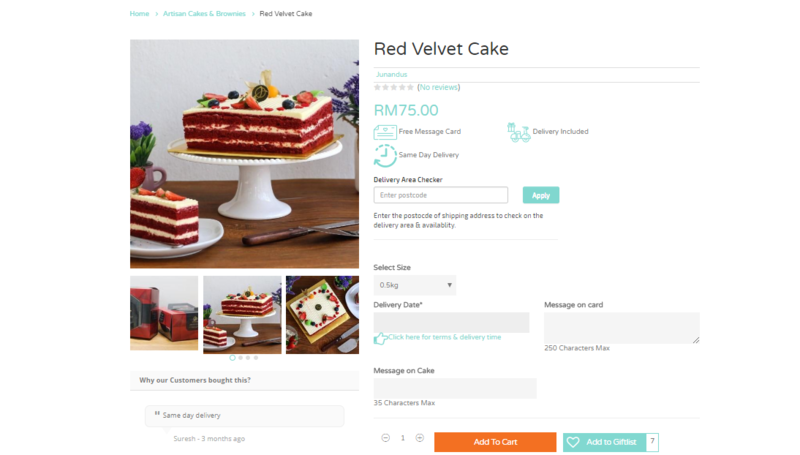 For on-demand delivery, items will be delivered between 10 am-5 pm (kindly refer to product page for accurate timeframe). For items shipped via courier service, delivery time by courier service will be 9 am-6 pm (Monday to Friday only). For on-demand deliveries, in case the recipient is not available, the vendor will do their best to redirect delivery. However, a redirection of address may not always be possible to happen on the same day as the delivery routes have been pre-arranged by the vendors and a change of direction may cause all following deliveries to go through a huge delay. If the vendor is not able to redeliver on the same day, redelivery will happen on the next day. A reattempt of delivery / redirection fee will incur and is subject to charges by vendor. For courier items, it is possible to redirect to a new shipping address only if the item is returned by the courier company to Giftr, which is usually 7 days after the item is being abandoned at the post office if the receiver does not collect them. Reattempt courier fee will also need to be borne by gift sender. Reattempt will only happen after payment has been made. If the item is still in the possession of the post office, they unfortunately will not be able to redirect to a new address. For on-demand delivery items - unfortunately there is no live tracking for door-to-door delivery as vendors will utilise their outsourced delivery company or in-house delivery guy who does not have the tracking system like courier services. Once the item is delivered you will receive an email notification. However kindly note that the time of the email sent to you may not be real-time as vendors await responses from their delivery person. For items shipped via courier - once the vendor ships out, you will receive an email notification with your tracking number and you can begin tracking the following day. Note that if the gifts are fulfilled by different vendors, then the gifts will arrive separately. If you have chosen products that are fulfilled by the same vendor, the items will most probably arrive together. Changes of delivery date / card message to an order can only be made min. 48 hours in advance provided the item has not been processed. This is subjected to available slots and if the delivery has not been pre-arranged. Note that Giftr is not able to allow customers to choose the preferred courier as vendors reserves all rights to send via their preferred courier. 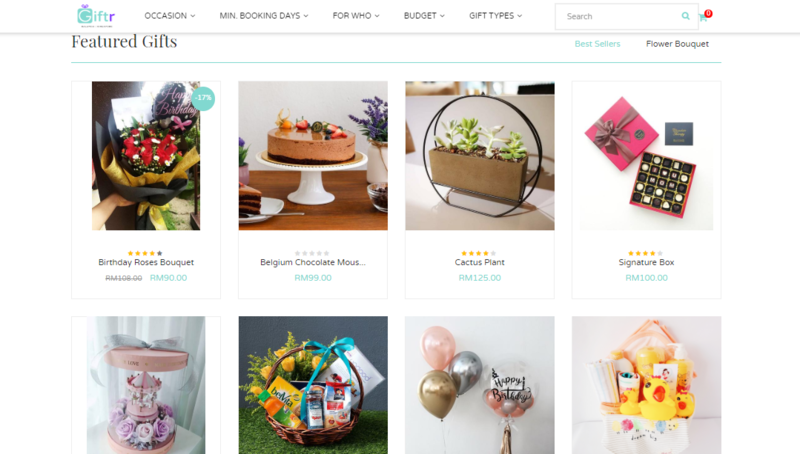 For on-demand creative designed gifts such as flowers or bouquets, vendor will do their best to ensure item is as similar as possible to the picture. However, flower stock may vary daily and there are times that particular flowers may run out of stock. Therefore, vendor will replace with other similar flower (either by type or by colour) while maintaining the overall look of the flower. Rest assured that value of the item will remain the same. Orders can only be cancelled or refunded if the item is not yet in production or has not been prepared and not shipped out. A RM5 processing fee will be imposed for all cancellations due to change in decision. Please note that no refund or cancellation is allowed 48 working hours before as items are made to order specially for you. If the item has been processed for you, no refund is possible. Changes of delivery date or card message to an order can only be made minimum 48 hours in advance provided the item has not been processed. Non-perishable items (for eg. items sent via courier service): damages must be flagged to Giftr team within 24 hours upon successful delivery. If a gift is damaged during shipping, vendor will be responsible to replace the same item. In the event an item is not available, Giftr will replace an item with similar value from the same vendor. In case the refund is applicable, refund for local banks will be made within 3-5 working days and refund to credit card or PayPal will take 7-14 working days. In addition, follow the brand on social media or check out their blog for innovative and creative gift ideas.